Social Enterprise London’s (SEL) version of the balanced scorecard (BSC) was developed expressly to help social enterprises to clarify and articulate their strategic objectives, and decide how they will deliver their multiple bottom lines. It was also designed to give organisations a mechanism to track performance holistically through both quantitative and qualitative information. This is primarily an internal management tool, drawing upon business concepts. Some of the measures the organisation adopts may also be used for external reporting as appropriate. The organisation essentially creates a visual representation of the critical elements of its strategy for the social side (encompassing social, environmental, and economic objectives) as well as the financial side – or business sustainability. The process then helps the organisation to identify the key drivers or ways of achieving success from these social and financial perspectives by identifying what key stakeholders want from the organisation, and what processes the organisation needs to put in place internally for it to deliver these things. The first step involves creating a strategy map. This is done by identifying the organisation’s goals, and choosing between two and four key goals to focus on. These are described at the top level of the strategy map. Underneath these goals, objectives need to be agreed for each of four ‘perspectives’. What are the financial objectives for how the organisation earns and uses resources? What are the organisation’s key stakeholder groups? What does each stakeholder want the organisation to be? (These are called ‘value propositions’). What internal processes does the organisation need to excel at in order to deliver what stakeholders want? These are usually activities that take place across teams or across the organisation. What skill sets, information technology, or access to networks/information/sectors does the organisation need in order to complete the internal processes? Note: this is meant as an example; organisations customise their strategy maps to reflect their goals. It should be possible to use the completed strategy map to tell the organisation’s story on a single side of paper. It will be important to check with members of the organisation if the map fully illustrates their understanding of what the organisation is aiming to achieve and how it is doing so. The next step involves creating a performance measurement schedule for each perspective, and a line for each objective. After stating each objective from the strategy map, this should describe how success is to be measured, by setting performance targets on a relevant time frame (e.g., quarterly, twice a year), and assigning someone to be responsible for delivering on, and measuring that objective. This measurement should be undertaken regularly using quantitative and qualitative data, in order to track performance, communicate success to internal or external stakeholders, and check that the strategy is working and that the assumptions that have been made are accurate. The strengths of the Social Enterprise Balanced Scorecard (BSC) are in strategy development in helping an organisation to keep its activities on track to meet its most important objectives. Participants in a BSC training programme with SEL found it helped them to sharpen their focus and clarity with regard to strategic planning and measuring progress on their strategic objectives. It also enabled them to see the various aspects of the organisation on one page, and gave them ‘the ability to remove non-essential detail’. It is particularly useful as a tool to manage change within an organisation. The strategy map can be a good tool to represent the organisation’s most important goals all on one page and facilitate communication about its goals both internally and externally. It may be a good precursor to social accounting and other methods of accounting to and involving stakeholders, as a method like social accounting examines many of the aspects not measured in depth by BSC. The BSC is not an ‘off-the-shelf’ method, and requires learning some basic terms and concepts and exploring examples to implement. While it is possible to read a great deal about the Balanced Scorecard, the SEL development is best followed as part of a course. The BSC does not have any external verification or auditing function. It does not go into great depth in terms of a particular programme or service. The BSC is not designed to help the organisation to be accountable to external stakeholders, nor is it designed to help it keep track of meeting all of its goals and upholding all of its values. It is necessarily limited in scope to ‘the essentials’. Who can use the Balanced Scorecard? Any organisation can use BSC, including those organisations just starting up. It is particularly good for organisations in transition, such as voluntary organisations transitioning to social enterprise. Results of the first pilot indicate that any size organisation can use BSC. Organisations as small as two staff members, in the start-up phase, and large organisations with hundreds of staff members both found it useful. Any sector can use the BSC. It was originally developed for the private sector, but there has been development in the public sector, the non-profit/voluntary sector in the USA and SEL’s work with social enterprises in the UK. The tool requires ownership at Chief Executive level, but ideally, how the organisation’s goals or other objectives are set, would be an all-organisation activity. An understanding of strategic planning or business planning is very useful, although BSC concepts can be learned while using the tool. An initial training course is important. However, ongoing use of the tool mainly requires champions within the organisation to lead the rest. The tool can then be adapted by the organisation as it develops and grows. In total, SEL estimates that a first round of implementing BSC would take roughly eight days, spread out over one quarter. The team responsible for business planning should check back in with the strategy map and its assumptions on an annual basis, with the aim of tying it to the time frame for any existing strategic or business planning processes. Measurement of progress in each of the objectives happens on a quarterly basis. SEL estimates that for enterprises of anywhere from 0 to 40 people the basic start-up time would involve two people attending three days of external training in the methodology to serve as internal champions and one staff away-day to create some of the objectives on the strategy map and build buy-in and assemble an internal team. The internal team would then create the next drafts to send around for staff comment, requiring approximately 4–6 meetings of three hours each spread out over a period of time for the internal team. A second staff away-day (or smaller internal training) would be needed to get the BSC up and running. This could take the form of either a complete day, or a series of several meetings to cover each team within the organisation depending upon its structure. 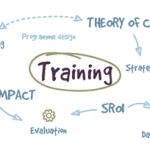 Training is offered through SEL on the social enterprise-specific balanced scorecard, which will likely be available on a bespoke basis for a fee. The Balanced Scorecard Collaborative is a network of consultants offering support in using the tool, with emphasis on the model developed by Kaplan and Norton. Many books are available to describe and illustrate how the tool has been used in ‘traditional’ companies, the public sector, and voluntary organisations. The tool was adapted from the work of Robert Kaplan and David Norton, but is not licensed. SEL, in its development of the Social Enterprise Balanced Scorecard has made significant changes to the original work in order to suit the UK Social Enterprise sector. SEL provides support and is to offer a BSC training course and guidance. While there are consultants throughout the UK proficient in the general principles of BSC, at the time of printing, the social enterprise adaptation sits mainly with SEL. Examples from other sectors can be found in the various books published on the Balanced Scorecard. For more details on how to implement the Social Enterprise Balanced Scorecard contact Social Enterprise London. Please note that the resources outlined below draw upon experience in the private, not-for-profit/voluntary and public sectors, rather than the bespoke social enterprise model developed by SEL. The basic principles are the same but the implementation is somewhat different. Bourne M and Bourne P (2003) Balanced Scorecard: In a week. (London: Hodder & Stoughton). Kaplan RS and Norton DP (1996) Translating strategy into action: The balanced scorecard (Boston: Harvard University Press). Kaplan RS (2001) Strategic performance measurement and management in nonprofit organizations. Nonprofit Management and Leadership Spring: pp 353–370. Summary: This article attempts to explain how the Balanced Scorecard can be applied in the nonprofit sector. Niven PR (2003) Balanced scorecard: Step-by-step for Government and nonprofit agencies (Chichester: John Wiley & Sons Ltd). Summary: This book is aimed at making the Balanced Scorecard approach available to government and nonprofit agencies, in particular, but it could prove useful for social enterprises wanting to get a thorough understanding of this tool.